Over the past decade the Middle East has risen from being simply a feedstock supplier in the form of crude oil to major global player in petrochemicals production. With this rise has come growing demand for tank movements in and out of the region, and Europe-, Asia- and North America-based operators and leasing companies have steadily grown their presence in the region to meet demand. However, the region still lacks a substantial network of tank cleaning and repair stations. A reasonable number of tank wash stations exist, but few are equipped with the necessary equipment to handle ISO tanks, for example, or lift trucks or chassis. But some companies are starting to plug the gap. In Egypt, Egytrans Depot Solutions (EDS) started operations in October 2010 in Alexandria. 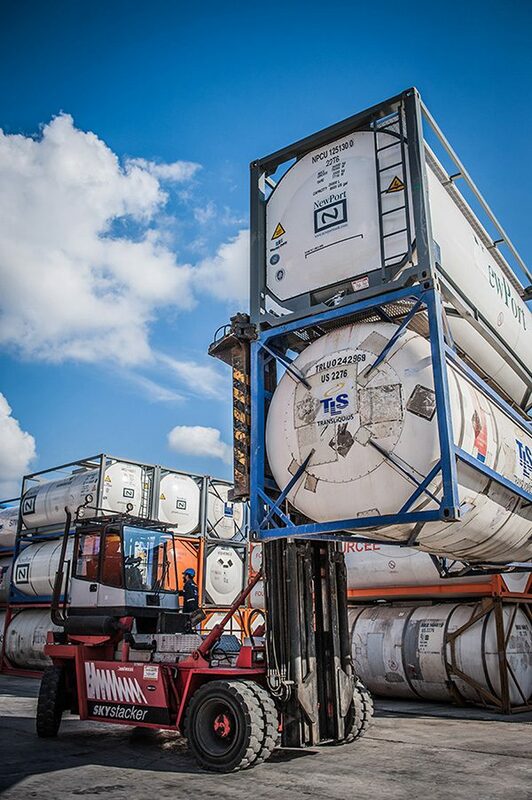 EDS provides specialised cleaning, repair and depot services for ISO tank containers, a service that the Egyptian market was previously lacking. Cleaning by steam is one of EDS’s areas of specialisation. Tanks are unloaded from their trucks and suitably placed for cleaning. The cleaning heads are secured to the cleaning hatch and the cleaning process is carried out based on the recommended procedure. Cleaning is performed using chemicals, high pressure and high temperature steam jets. EDS issues a cleaning certificate for each tank cleaned at its facilities in compliance with international standards. The facility also has a 2,400 sqm of storage yard suitable for storage of hazardous and flammable products. EDS has made an agreement with the Alexandria Governorate Environmental Authorities for waste disposal. Through this agreement operators are assured of the disposal of effluent through environmentally-friendly methods in compliance with international codes. EDS’s yard is a safe and controlled environment that undergoes regular audits. Three wash bays for tank containers and one bay for tank trucks are available with state of the art cleaning equipment and multiple spinners per bay. Computerised systems make use of the reference chemicals database to conduct cleaning operations efficiently. EDS is licensed to clean a wide variety of hazardous and non–hazardous materials. The depot area is fully equipped to ensure repair and maintenance is performed by highly-qualified and well-trained technicians within a planned work schedule. A wide range of spare parts, specialist materials and components are kept in stock for emergencies. The tank truck bay contains the latest automated machines and detergents. The facility is designed to allow an easy pass for trucks from outside to inside the depot and vice versa. 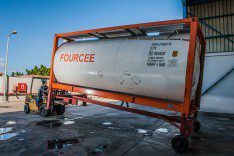 At the client’s request, EDS can discharge any remaining product inside the tank into IBCs in order to store until delivery to receivers. An IBC cleaning head is available at the depot and the operation only takes a short time due to the up to date equipment and process workflow EDS provides pneumatic tests to pressures up to 1 bar (14psi). In Dubai, UAE, Joint Tank Services FZCO (JTS), was officially opened in January 2013 by Jamal Majid Bin Thannaih, vice chairman of DP World and group CEO of Port & Free Zone World. Located in Dubai’s Jebel Ali South area JTS also includes nearly 20,000 sq ft for handling and storage of empty tank containers. Stacking capacity is 3-high, lifting capacity up to 9 tons, total storage capacity of 600 empty tanks. Cleaning of class 3, 8, 9, 4.1 and 6.1 and non-hazardous materials is carried out, as well, as cleaning of difficult cargoes such as resin and synthetic latex. 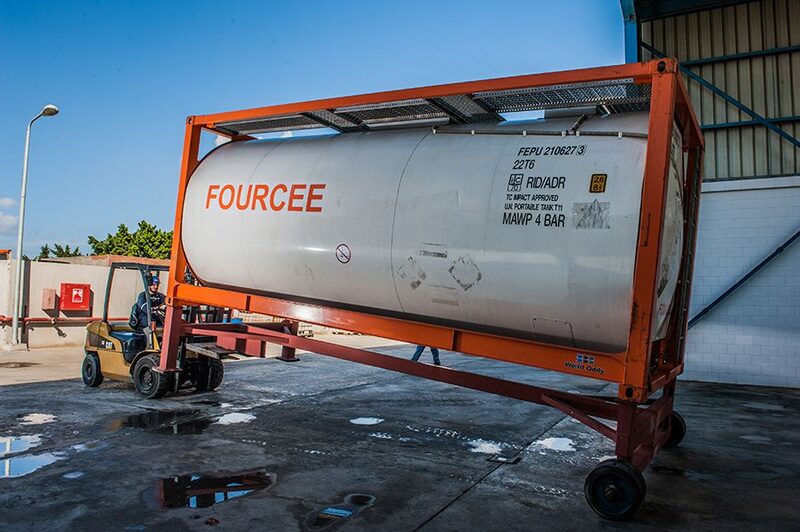 The facility can also wash IBCs and road tankers. JTS has 12 cleaning bays and six spinning heads. Tank repair services include structural and shell. Statutory periodic testing of 2.5 and five years as required by IMO legislation can be carried out too, in addition to pre-trip inspection and leak-checks of tank containers. The facility has a number of value added services to offer. These include steam heating for products to facilitate discharge, nitrogen purging/ blanketing, on-hire & off-hire survey, off-site technical assistance and emergency response, tank container leasing, tracking and co-ordination services, and logistics including transport and shipping.